There are many options out there when it comes to choosing the right financial planning software for your firm. 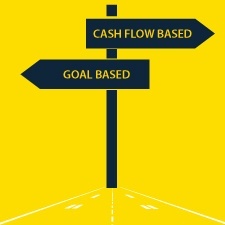 Should you go with cash flow- or goal-based software? Linear or Monte Carlo calculations? Interactive or traditional reports? Plus, with such a high switching cost in play if you don’t choose correctly, you want to ensure that you find the software that best fits the needs of your practice and your clients the first time around. Here, I’ll cover what you need to know to make the educated choice, starting with the different types of software on the market today. First, let’s start with the basics and review the two main types of financial planning software—goal based and cash flow based—plus another focused on those clients in or nearing retirement. Goal-based software. This software (e.g., MoneyGuidePro) evaluates the client’s assets as they relate to a specific goal, like retirement. With goal-based software, the conversation often centers on whether the client has enough money to reach his or her objective. It is most suitable for clients nearing retirement or those who are concerned with whether they are saving enough to meet their retirement goals. Cash flow-based software. Using this type of software, you will be able to evaluate every dollar your client has and then allocate that money in the most efficient way possible to help your client meet his or her goals. Certain cash flow-based tools (e.g., eMoney’s emX Pro) will even run a sample Form 1040 to determine where to put excess cash flows in a tax-efficient manner. With cash flow-based software, the conversation is likely to focus on where each dollar should go. It can be used with clients who are nearing retirement and those who are much younger but who are focused on saving resourcefully. Keep in mind, however, that cash flow tools are often more expensive—and more robust—when compared with goal-based tools. Bucket software. Bucket software focuses on the decumulation phase of retirement, rather than the accumulation phase. Generally, this type of software is appropriate for clients already in or very near retirement. Bucket software breaks out the assets a client has already accumulated and separates them into different time periods or buckets in retirement. Each segment is allocated differently, with shorter-term segments invested more conservatively and segments that are further out invested more aggressively. The focus? Making sure the client’s money can last through his or her retirement. Once you've got the basics, you’ll want to consider what type of calculation method you’re comfortable with. In general, there are two ways that returns are calculated in financial planning software programs: linear calculations and the Monte Carlo simulation. Linear returns are just what they sound like—5 percent in year 1, 5 percent in year 2, 5 percent in year 3, and so on. You may think to yourself, “But what about a year when my clients don’t get 5 percent?” This is the question Monte Carlo simulation aims to solve. Monte Carlo simulation runs the same portfolio, but it adds a level of risk to account for the sequence of returns that clients face. For example, a Monte Carlo simulation will run a return such as 2 percent in year 1, 7 percent in year 2, 3 percent in year 3, and so on. The calculations can be based on the historical risk and return of the client’s portfolio or on the projected risk and return in a client’s portfolio. Here at Commonwealth, our Client360°® Goals tool, available on our comprehensive technology platform, helps advisors track their clients' goals on a daily basis using both Monte Carlo and linear returns. How Will the Software Fit with Your Practice? Next, you'll need to think about how different types of software allow you to present information. Some software programs offer only traditional printed reports to review with the client. These days, however, the market is trending more toward live presentation models, and many financial planning software tools now offer both options. With a live presentation, you can change data or assumptions on the fly and immediately show your clients how this change may affect their financial plan. “Let’s see what happens if you retire two years earlier,” or “What would happen if you buy that new house in Florida?” This ability to go with the flow of the discussion is a major benefit of a live presentation. Does the software offer account aggregation? Account aggregation is a feature that pulls over and updates account data from client accounts that are held at your firm. Many companies now offer outside account aggregation as well. With outside account aggregation, clients can link their outside accounts (e.g., bank accounts, insurance policies), and that data will pull into your planning software—saving you valuable time. This also eliminates the need for you to enter in assets manually and update the numbers every time you rerun the plan. For many advisors—including Commonwealth advisors—this convenience factor is key. Our account aggregation tool allows clients to add their outside accounts, balances/liabilities, and holdings to Investor360°® (our client-facing web portal) and to have that same information flow upstream to Client360°. This not only offers convenience but gives important insight to our advisors regarding new opportunities with their clients. Do you want your clients to have access to their financial plans online? Some planning software allows you to grant your clients online access to edit their plans, while other software tools limit this access so that clients can only view their plans. But there are tools that take it further: giving clients the ability to edit their plans and to try out alternative scenarios—a valuable feature depending on the needs of your clients. Would you like to present side-by-side scenarios? Many clients find value in comparing where they are now with what you, the advisor, are recommending and, possibly, some alternative options as well. If your recommendations save (or make) clients money and help them achieve their financial goals, this could be a great way to showcase your value-add. As you can see, there are many factors to consider before investing in financial planning software. But by understanding the basics, the calculation methods, and how it will fit the needs of your office and your clients, you’ll be well positioned to choose the software that’s right for your business. Do you use financial planning software in your office? What other criteria do you use to evaluate this software? Please share your thoughts with us below!